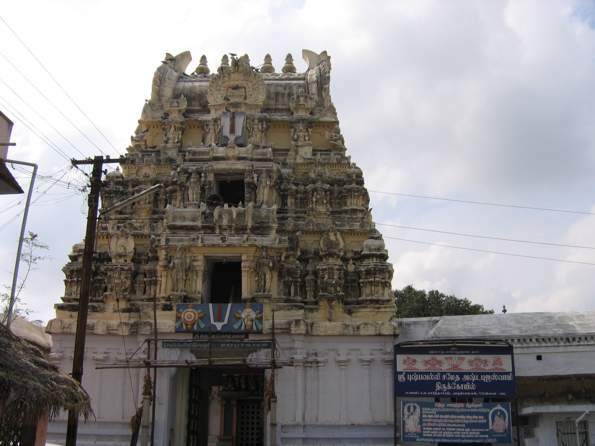 The third in this series of Divya Desams in and around Kanchipuram looks at Ashtabujam Gajendra Varadan temple, situated 2 kms South West of Varadaraja Perumal temple and ½ km South of ThiruVekka. 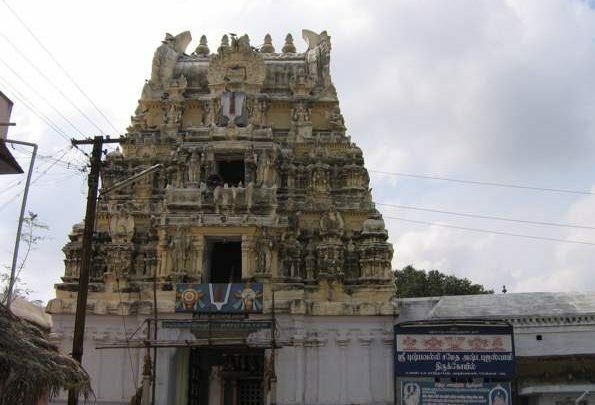 The story of this temple too revolves around Saraswathi’s attempt to stop Brahmma’s Ashwamedha Yaagam. 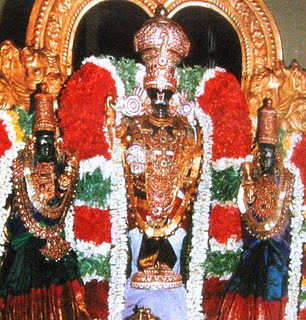 Thirumangai Azhvaar had praised Lord Vishnu in different forms and sizes but he had not seen one with 8 hands. Looking at this Lord, he could not understand who the one with 8 hands was and how one could be in this form. 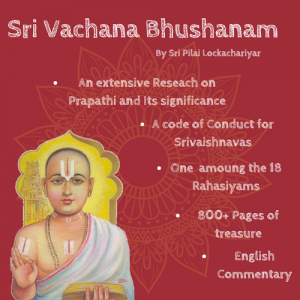 He tires to recount all the different forms of Lords Vishnu that he had praised but could not relate to this one. 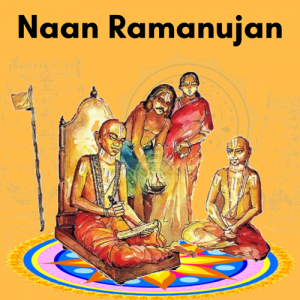 Hence, in each of his Paasurams directed at the Lord here, he, with a lot of curiosity, constantly asks the question “ who are you- the one with 8 hands”. Continuing her quest to stop Brahmma’s Ashwamedha Yaagam, Saraswathi sends a dangerous looking Kaali along with an asura. 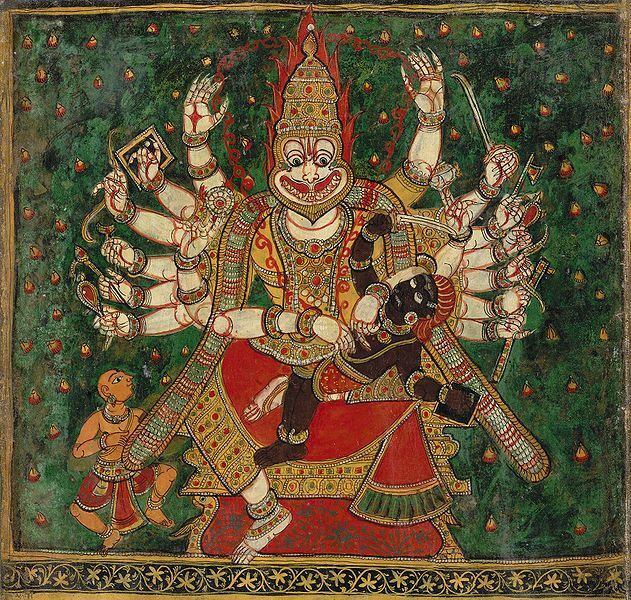 Lord Vishnu appeared with 8 hands with a weapon in each hand to kill the asuras and to subdue Kaali. 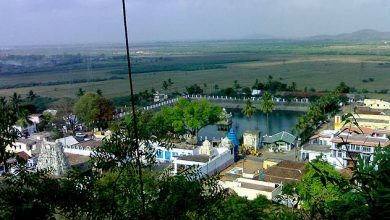 In memory of this event, there is a Kaali temple next to this Divya Desam. An elephant which came to the temple tank to pick up flowers for the Lord was caught in the clutches of a crocodile. Lord Vishnu is said to have hurled his disc at the crocodile to save the elephant. Lord here is said to have provide a ‘replayed version’ of Gajendra Moksham to PeyAzhvaar. 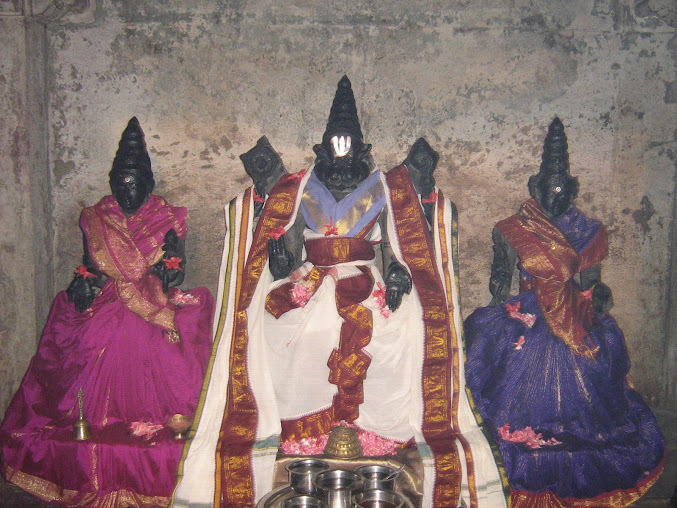 This is the only Divya Desam in Kanchipuram that has a Vaikunda Vaasal.